New music from Goat is always a time for celebration, and we are excited to announce the bands return with a 7” of brand new material. 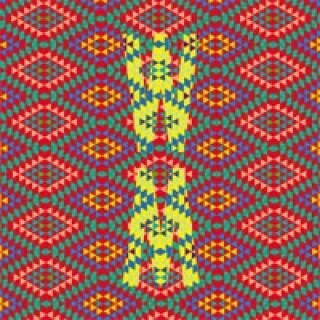 Last year Goat released the single It’s time for fun which saw the band experimenting with drum machines, which brought a different pulse to their tribal psych. And this desire to explore new sounds continues with their new single I Sing in Silence. But instead of ‘plugging in’ new instruments the band have ‘unplugged’ and created an addictive groove with mostly un-amped, acoustic instruments. Elastic guitar lines, woodblock percussion, and flutes which drive the song are enveloped by one of the strongest vocal deliveries by the bands enigmatic singers, resulting in a powerful and catchy psych-pop number. The B side is an instrumental called The Snake of Addis Ababa, is a looping North African mantra played on a teasing fuzzed guitar underpinned by a djembe groove. The repetitive mantra is disrupted by piano that freely solos over the groove, and a pounding drum lifts the song to a seriously head-nodding conclusion. 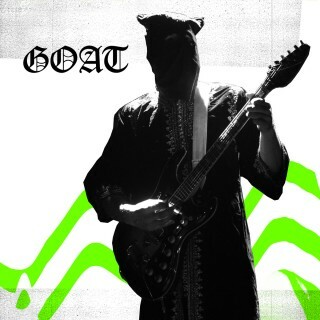 This single is further proof that, in a world of similar sounding and similar looking psych bands, Goat are standing completely out on their own and we are all the better for it. This summer the band will be busy writing, recording, and blowing people’s minds across Europe’s greatest stages.